After taking a battering with the weather at the past few years races, the gods were with us today as a lovely crisp, calm and unseasonably bright and warm morning descended upon the Loxley Valley with 2,119 runners completing the 24th running of the Percy Pud 10k. Breaking news is that both male and female course records were broken today and the club handed over £1000 cheques to each of the winners. Both records had stood for over 10 years and are looking mighty impressive now. 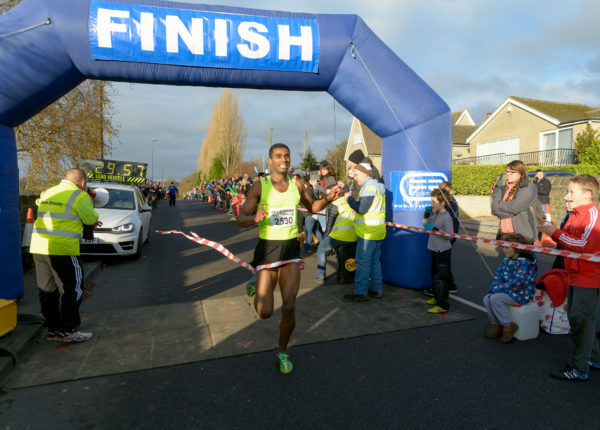 Mohammad Abu-Rezeq of Altrincham & District AC was the first man over the line in 29:57, taking just 7 seconds off Jason Ward’s longstanding record from 2005. 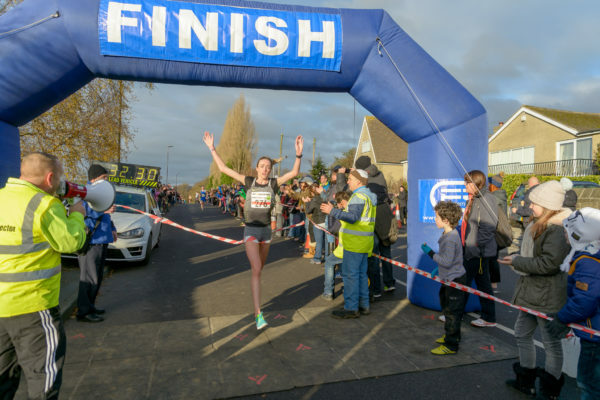 In the ladies race, Rio 2016 Olympic 5000m finalist Eilish McColgan of Dundee Hawkhill Harriers smashed the 12 year old course record by finishing in 32:32 and taking a whopping 1 minute and 21 seconds off Debbie Robinson’s time.